Chicken wings are the #! 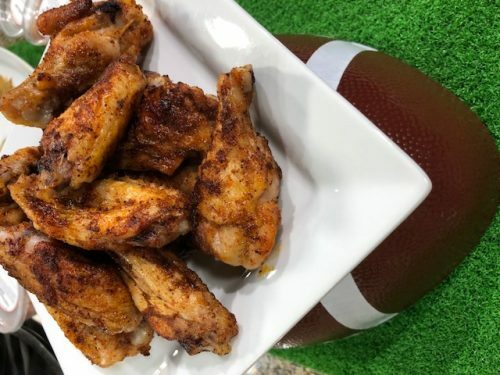 Superbowl food! I love a flavorful, crunchy wing- and I love that you get the fried texture and tasted, but without frying. Make sure and follow our tips to ensure the best wings possible. 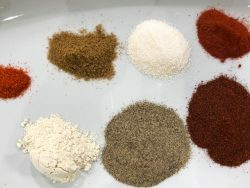 Remember to “Make Life Delicious” with fresh spices with the most flavor and aroma to enhance your recipes. Dry wing pieces with paper towels to remove excess liquid. Place wings in a bowl and rub olive oil evenly into each piece. Combine all seasonings in a bowl. Sprinkle half of the season mix onto the chicken wings and rub in. Flip wings and sprinkle remaining half onto wings and rub in. Bake at 350 degrees °F for 20 minutes, flip each wing, then bake for an additional 10 minutes. Turn oven broiler on low and broil for another 10 minutes to further crisp them- keep an eye on them during this stage. Remove from oven and serve with Ranch or Blue Cheese Parmesan Dressing. Note: Drying the wings in the first step is important to get them crispy. Baking them on a rack ensures even heat coverage all around the wings.